We were overjoyed to find out I was pregnant in September 2015 following a silent miscarriage earlier in the year. I was quite anxious throughout the pregnancy due to our previous experience. When I did go into labour we skipped the early part and my plans for a relaxing water birth went out of the window! I was given an epidural to help with the pain and this slowed things down. Before I was allowed to start pushing the midwife became concerned with my high temperature. With my consent Iv antibiotics were given and it was explained to me that this would also pass over the placenta to the baby. After only a short while pushing, it became clear that some assistance was needed and baby Iris Amelia Cooke was delivered by forceps with my then partner Mark by my side at six minutes past midnight on 2nd June 2016. It seemed like forever until she made a sound in theatre. She was placed on me briefly, I was heavily sedated but could see that she had quite a bit of bruising on her face from the forceps. I was placed up in the recovery suite with Iris by my side but within an hour a doctor came to talk to me to say that an issue had been picked up with Iris’ platelets and that they were low. The reason that this was picked up is due to the Iv antibiotics being administered as there were no other signs that anything was wrong. 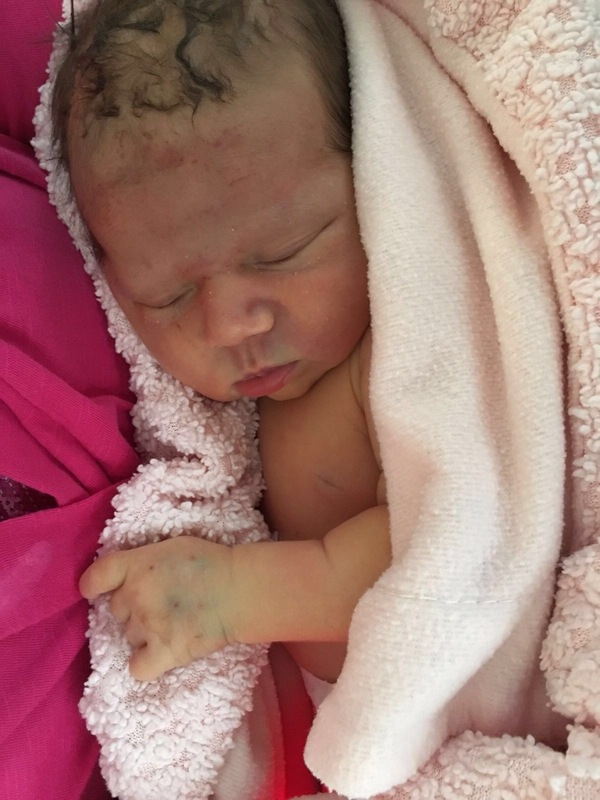 Iris was taken down to the neo-natal unit and if I am honest, I had no idea what was going on, I was still in a lot of pain from her traumatic birth and confused as to what had happened. I text Mark to come back to the hospital first thing in the morning. A doctor came to talk to us and reiterated that there was an issue with her platelets and that we all needed to have our blood tested to see what the issue was. Iris was given her first transfusion that morning to raise her platelets from 21 (usual healthy range is 150). Several agonising days passed where our routine would be that mark would wheel or walk me down to the neo ward where we would sit with Iris. It was so hard seeing her in an incubator with all the wires attached. It was here that the issue of nait was raised and we started doing our own online research. Iris had 2 transfusions and was moved from intensive care to high dependency . It was on the 6th day that nait was confirmed as the cause of Iris’ low platelets and we were told that we needed to stay in hospital until a doctors were clear on how the condition could be managed. 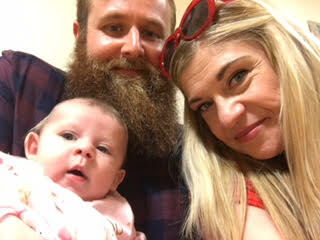 Iris was discharged from neonatal and we were together in the same room on the maternity ward at last! 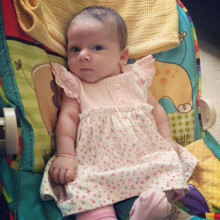 Luckily for us 2 days later a consultant from Noah’s Ark (children’s hospital) came to see us and said we could go home that day on the proviso that we took Iris for weekly platelet counts to check that her levels were stable and had not dropped. He also told us that any future pregnancies would be effected and that I would need my own follow up with the haematology dept. We were so pleased to leave! We received amazing care at the university hospital of Wales but just wanted to get home. The first few weeks were scary and fraught as we anxiously waited for Iris’ results to come back every Monday. It was horrible for her having her blood taken and she screamed the place down. On week 5 we were told by the consultant that they were discharging Iris as her platelets were stable and there should not be any further issues. The relief was immense. 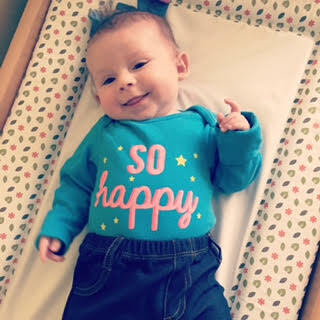 We are now nearly 4 months on from her birth and Iris is such a happy smiley little baby girl. We got married when Iris was six weeks old and she slept through the whole day. We cherish every day with her and can’t believe the joy she has brought to our lives.